The Cube Cinema will be showing the amazing 2002 documentary Des Hommes et Dieux which looks at the role of gay men in the Vodou religion. There’ll also be an introductory talk by vodou expert Dr Bettina Schmidt, plus clips from Hollywood “voodoo” movies, a secret surprise extra screening, and DJ The Janitor from QuJunctions spinning Haitian sounds in the bar. 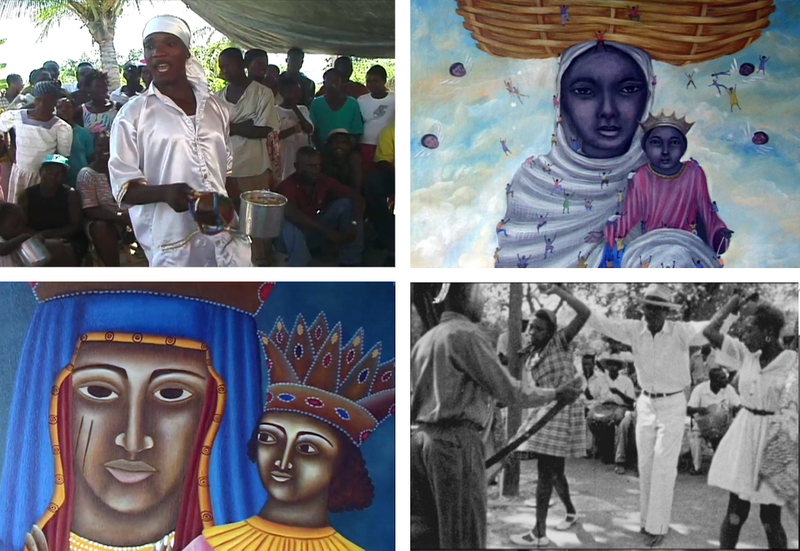 Haitian Vodou must be one of the most misrepresented religions in the world. Since 1932’s White Zombie starring Bela Lugosi, Hollywood movies have portrayed “voodoo” as being about black magic and zombies. In fact Vodou is a complex mix of Western African religions brought over by the original slave population, which incorporated the iconography of the slave masters’ Roman Catholicism and Free Masonry. It is also a deeply egalitarian, communal, and artistically creative religion which has stubbornly survived two centuries of negative propaganda from the ex-colonial powers and evangelical Christianity. Tonight’s event is an opportunity to see some films that are very rarely screened in the UK and find out about a religion and culture that is often deeply misunderstood. This event is particularly relevant given news stories about the murder of vodou priests in “retaliation” for the current cholera outbreak in Haiti. Prevalent, yet still taboo in Haitian society, homosexuality and gay culture are allowed to flourish within the context of the Vodou religion. As “children of the gods,” the men find an explanation for homosexuality as well as divine protection. They also find an outlet for theatrical expression through exhilarating performances in which they embody the gods. Meanwhile, the AIDS epidemic looms as a continual threat and adds a disquieting degree of nihilism to their relatively optimistic attitudes toward life and happiness in Port-au-Prince.